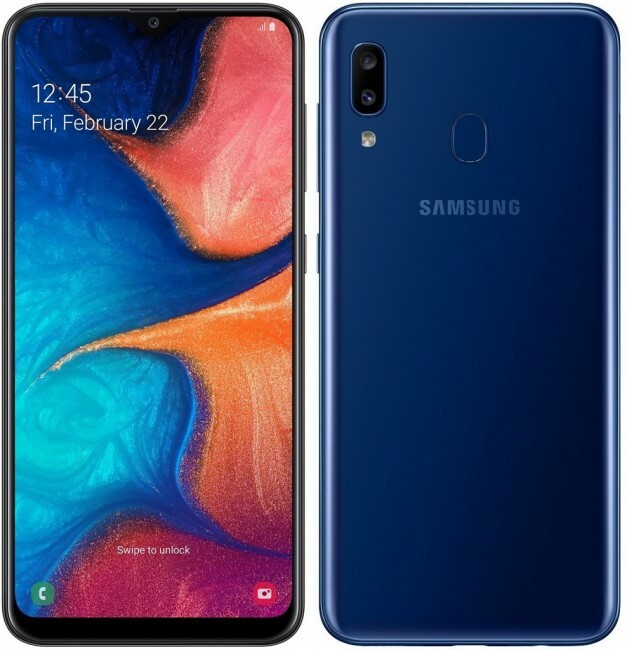 Samsung unveiled the Galaxy A10, A30, and A50 smartphones last month, and today, the company has further expanded its A series by announcing the Galaxy A20. The Samsung Galaxy A20 is powered by Exynos 7884 SoC - the same chipset that makes the Galaxy A10 tick. The smartphone comes with 3GB RAM and 32GB of storage and it has a microSD card slot that allows storage expansion by up to 512GB. The Galaxy A20 is built around a 6.4-inch HD+ Infinity-V Super AMOLED display on the front while the back flaunts what Samsung calls 3D Glasstic design. As the name suggests, it's a combination of glass and plastic. The phone has a dual camera setup at the back (13MP f/1.9 and 5MP f/2.2 modules). For selfies and video calls, there's an 8 MP snapper on the front with f/2.0 aperture. The smartphone comes with a rear-mounted fingerprint scanner and packs a 4,000 mAh battery. It will be available in Russia with a price tag of RUB13,990 ($217/€191) but details regarding its availability in other markets are currently unknown. Alongside the Galaxy A20, Samsung also launched the A30 and A50 in Russia. The A30 is priced at RUB15,990 ($249/€219) whereas the A50 starts at RUB19,990 ($311/€274).